Cookie! Get Your Holiday Cookies! It’s that time of year again! A time for bakeries and pastry shops to work tirelessly to keep the display cases full of fresh baked products for all of the holiday enthused consumers. In most bakeries, it seems like you can never have enough holiday cookies to sell consumers. Whether it be nicely wrapped cookie platters, decorated gingerbread cookies, or even drop cookies sold by the pound; if you can produce it, they will buy it! 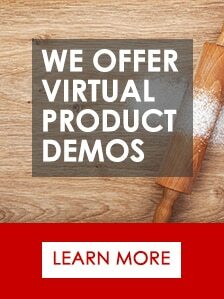 To really capitalize on the opportunities each holiday season brings, it is important that your bakery is working like a well oiled machine. Planning for the holiday season often begins months in advance. 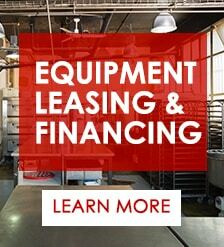 When brainstorming and planning how to streamline your cookie production there are a few things to keep in mind. First you might want to look at the different types of cookies you want to produce. It’s important to have a nice mix of different flavor profiles such as cookies with nuts, dried fruit, chocolate, holiday flavors like gingerbread, and butter cookies. Also, it’s key to use some festive holiday colors. It can really help to make your cookie platters look more appealing with bright reds and greens and different colored icing or sprinkles. The amount of production time for each cookie is also key. You want to be able to produce these cookie quickly and efficiently. Most cookies freeze or refrigerate very well before baking. So a good idea is to produce large quantities of cookies already scooped or shaped and have them ready to bake off. Another thing to keep in mind is your client base. It is important to have options available at different price points, different sizes, and items that cater to specific dietary needs. Also, keep a close eye on the market to keep track of what hot; Macaroons, Gluten-Free/Nut free products or your traditional holiday cookies. The important thing is to remember to have many options for your customers… continue to pump out those holiday cookies so your customers can keep snatching them up. Happy Holiday Baking! In celebration of the holiday spirit, here is a great holiday cookie recipe that can be made quickly, has a great shelf life and is always appealing to our holiday season taste buds! Cream almond paste, honey, and salt until smooth. Slowly add egg whites, a few at a time until incorporated. Add almond extract at end of mix. Pipe batter at room temperature with a star tip on sheet trays. Garnish top of each cookie with candied cherry that has been cut in half. Bake cookies at 325 degrees Fahrenheit until cookies have light brown color and are set. 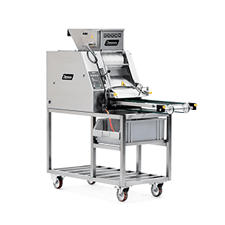 The Formatic lineup of Cookie Machines includes the versatile R-Series, Traymatic and DD 12,000. 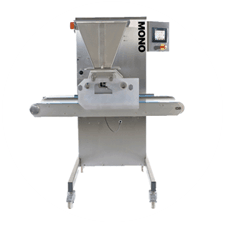 These machines are perfect for hard doughs both with or without particulates.